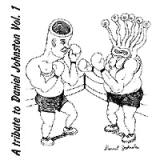 The 2nd CD contains the 18 ORIGINAL tracks by Daniel, with a BONUS TRACK "Rock This Town" - CD has video of "Rock This Town"
A recent compilation of OLD never-before-published jewels from the Daniel Johnston cassette archive. A MUST addition for collectors and fans. These CDs are the ones re-issued and in stores today, and they do include the VERY COOL insert / poster with the STORY of Hi How Are You, photos, and lyrics. 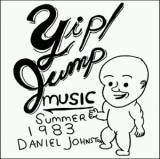 From the 1983 cassette tape. 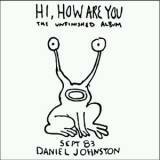 The most popular Daniel Johnston album of all! Kurt Cobain listed it as #35 is his top 50 favorite albums. 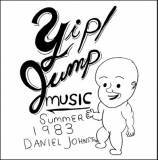 These CDs are the ones re-issued and in stores today, and they do include the VERY COOL insert / poster with the STORY of Yip Jump Music, photos, and lyrics. 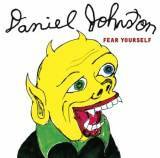 "Welcome To My World" is a collection of some of Daniel's most-beloved songs. 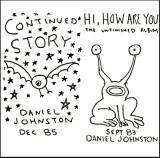 These are the songs that built the legend...a must-have for the legion of devoted Daniel Johnston Fans as well as the perfect introduction for new listeners. 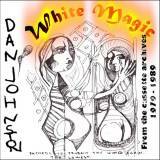 Includes several tracks from out-of-print publications like "Laurie" and "Lennon Song". Liner notes by Louis Black.